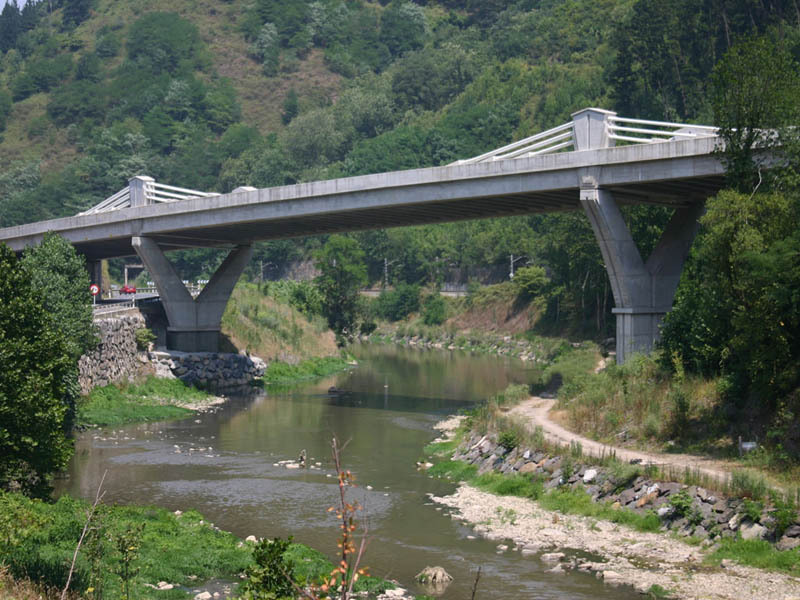 The progress of Stayed Bridges has followed the need for bridging larger spans more economically and to the concept of magnificent land marks that these kinds of bridges introduce in the infrastructure networks. 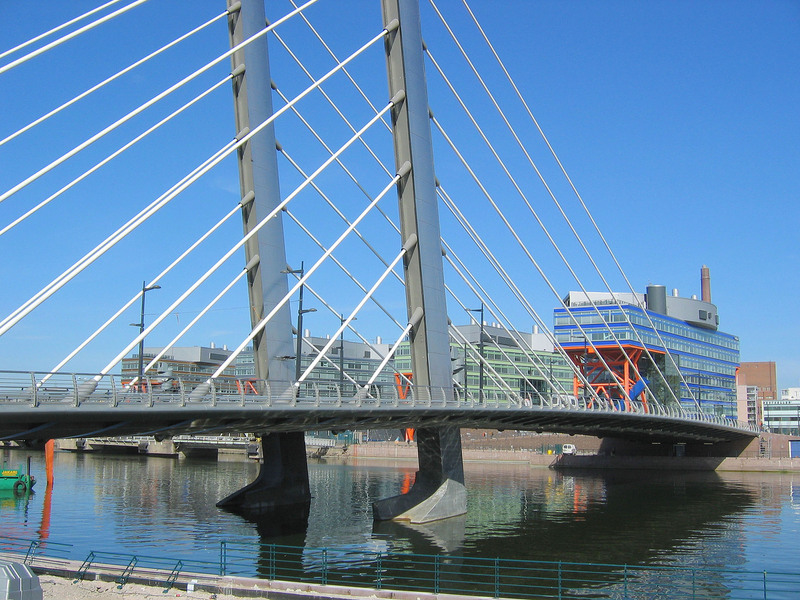 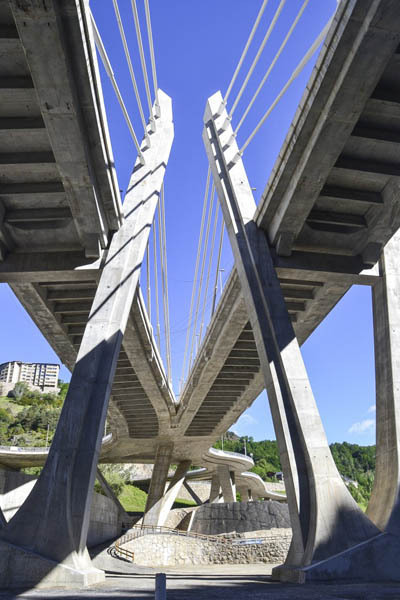 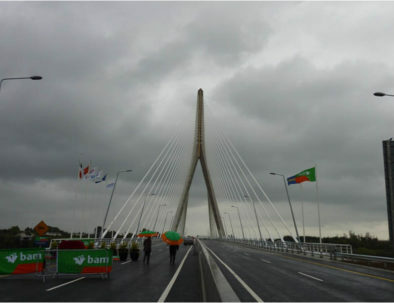 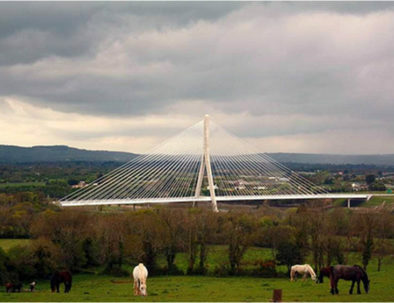 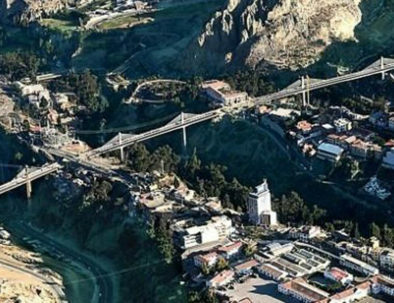 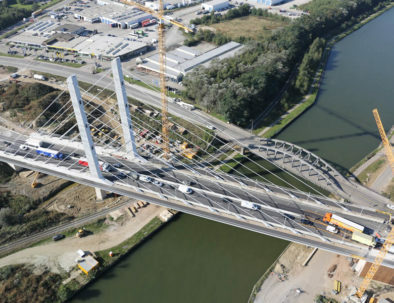 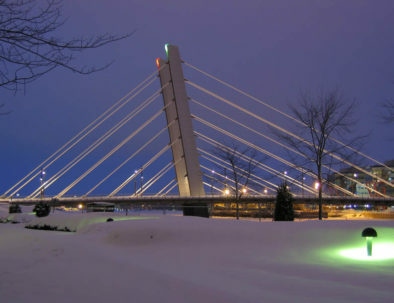 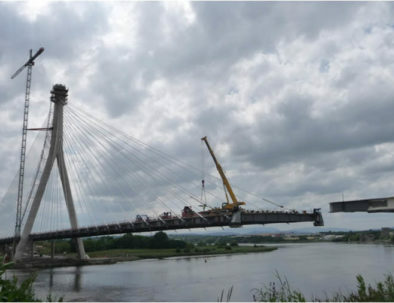 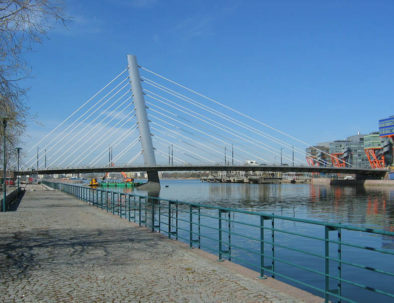 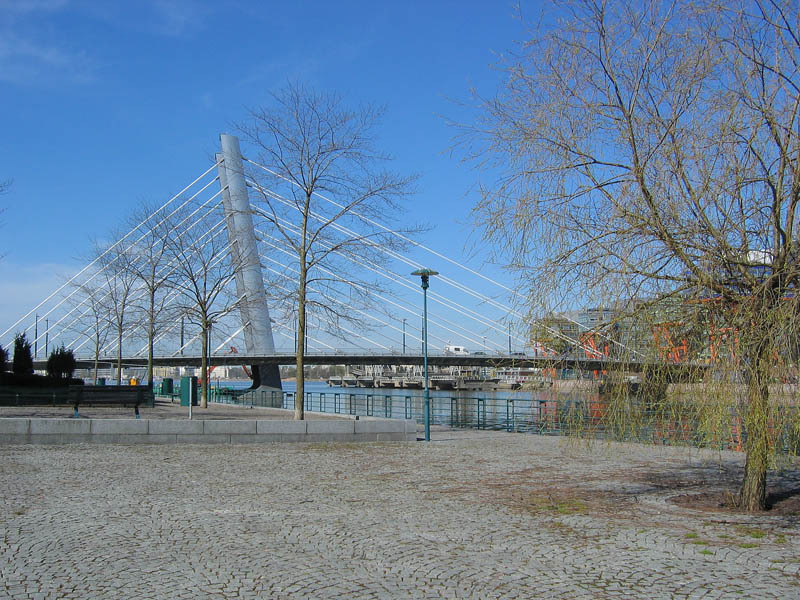 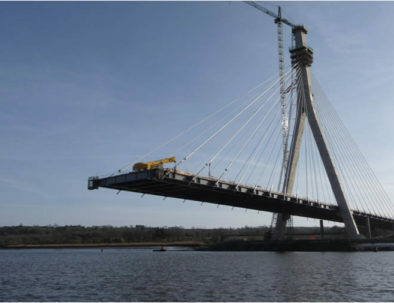 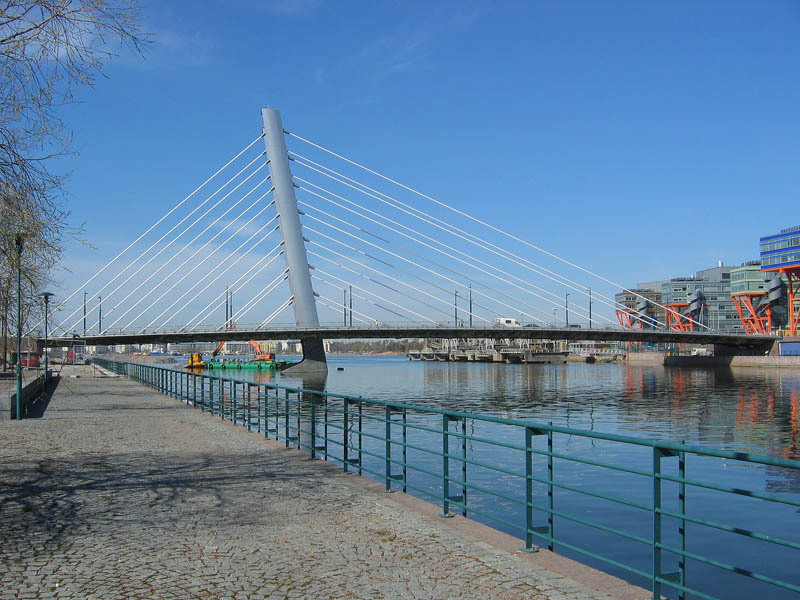 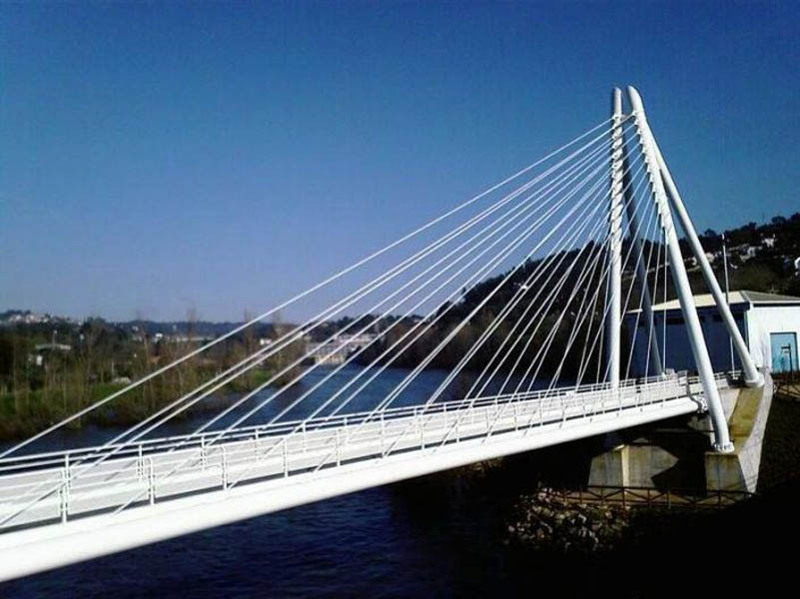 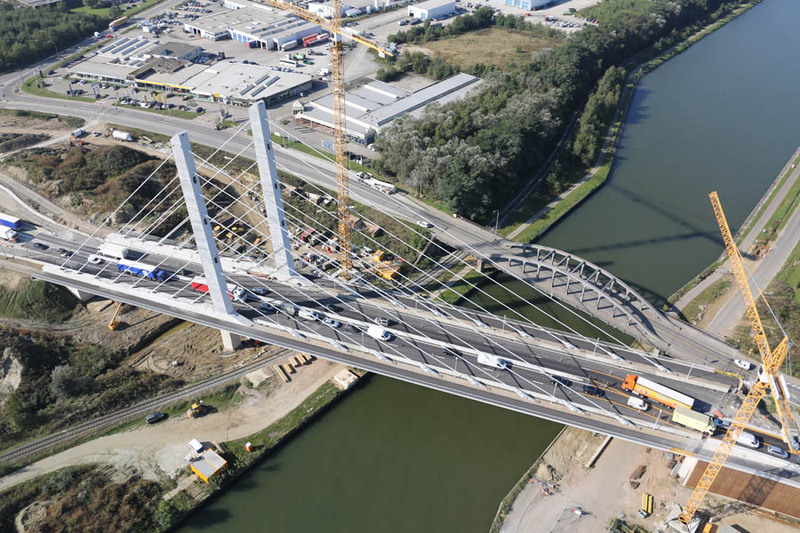 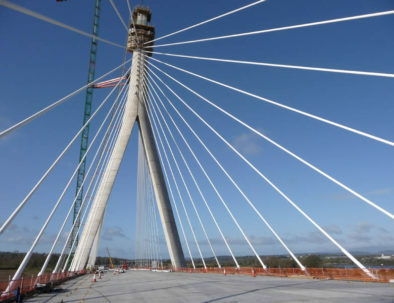 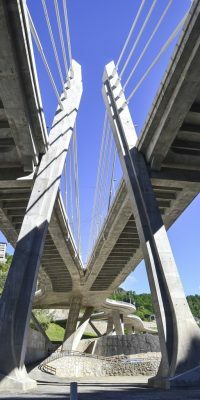 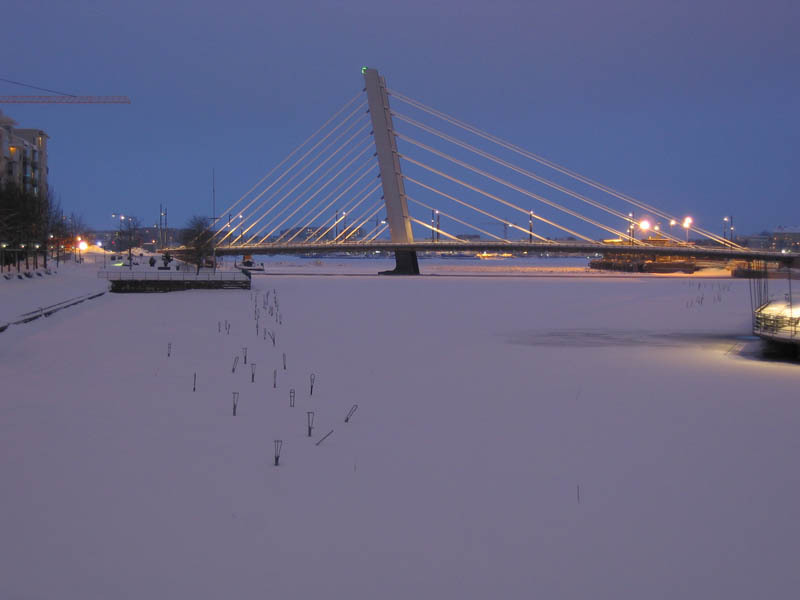 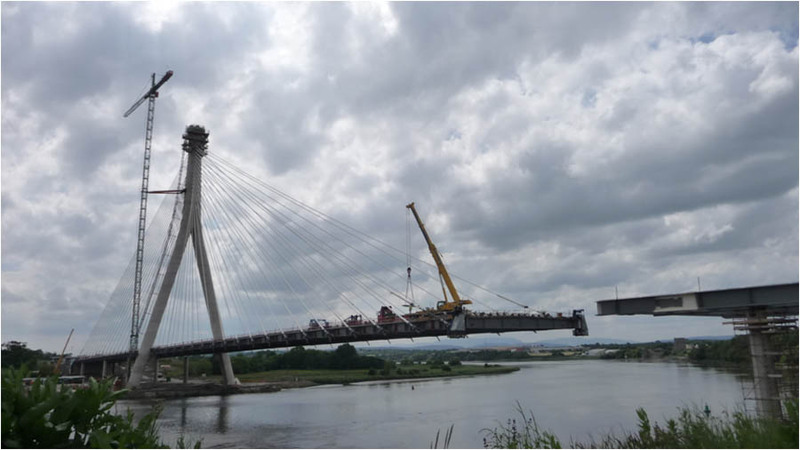 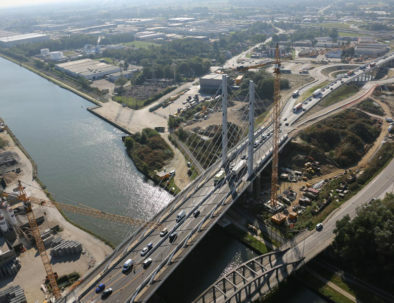 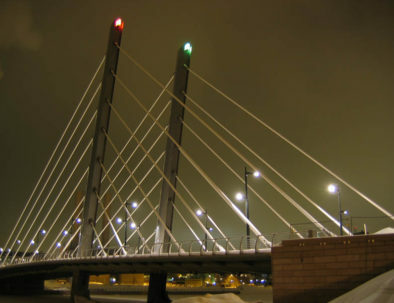 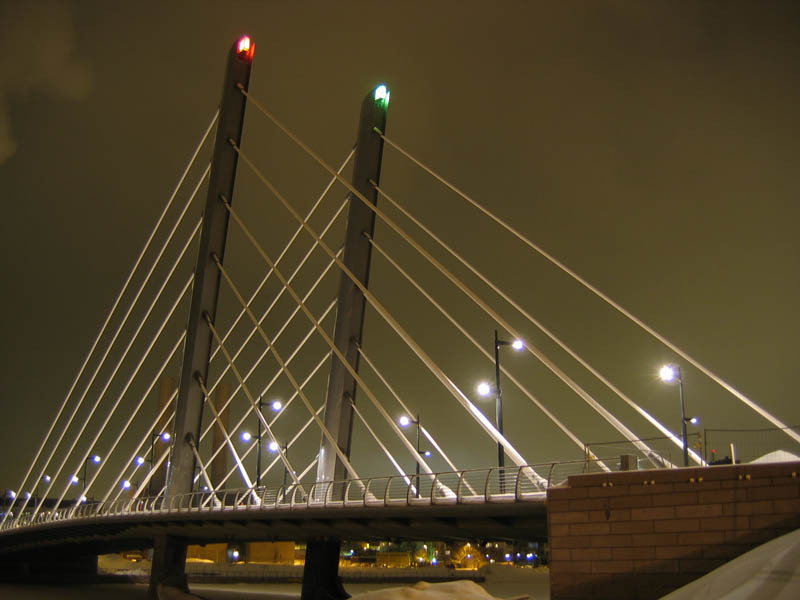 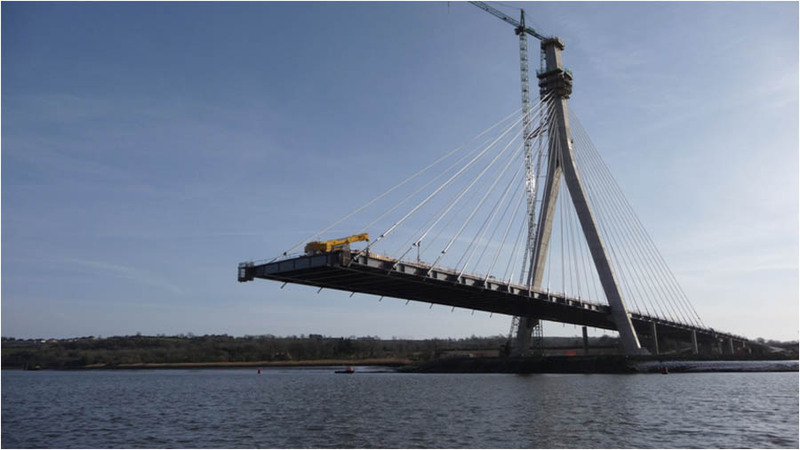 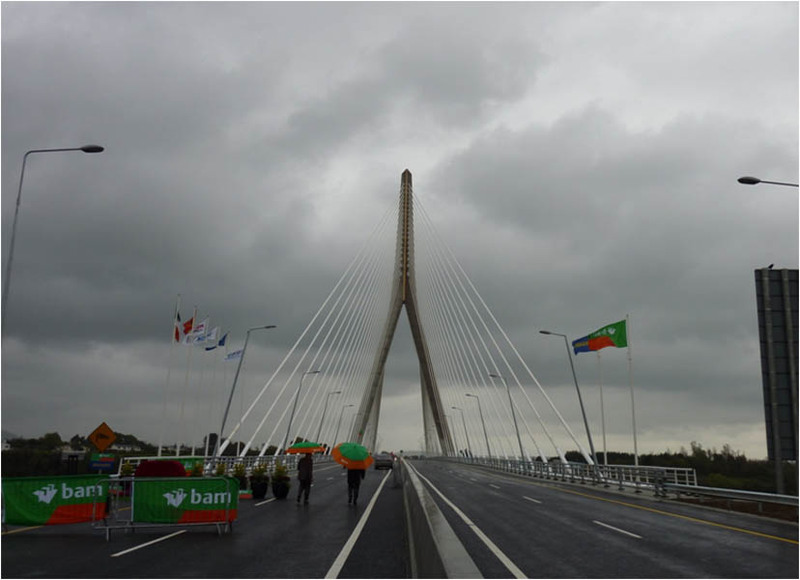 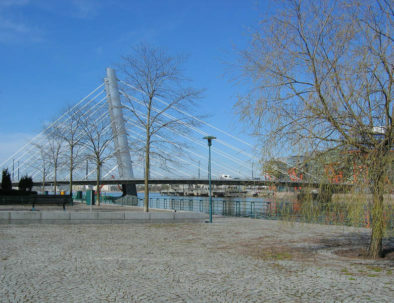 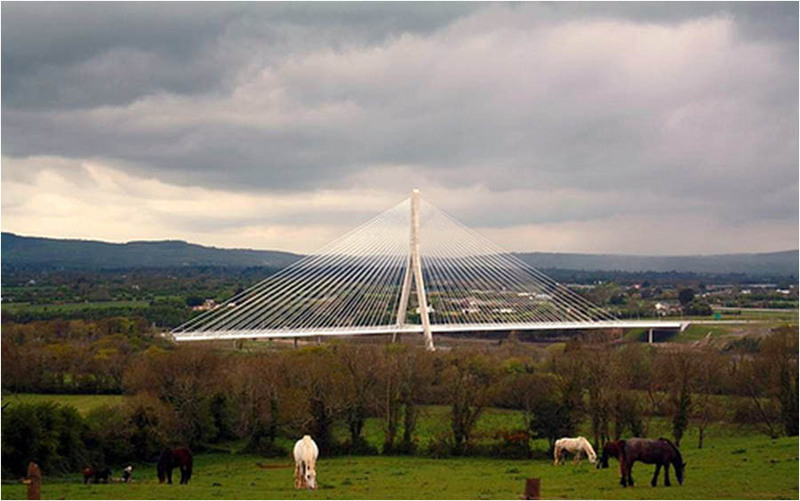 Progress equates with the developments in structural analysis and it has been followed by the improvement of Cable Stays since the renaissance of the cable stayed bridge typology in 1955. 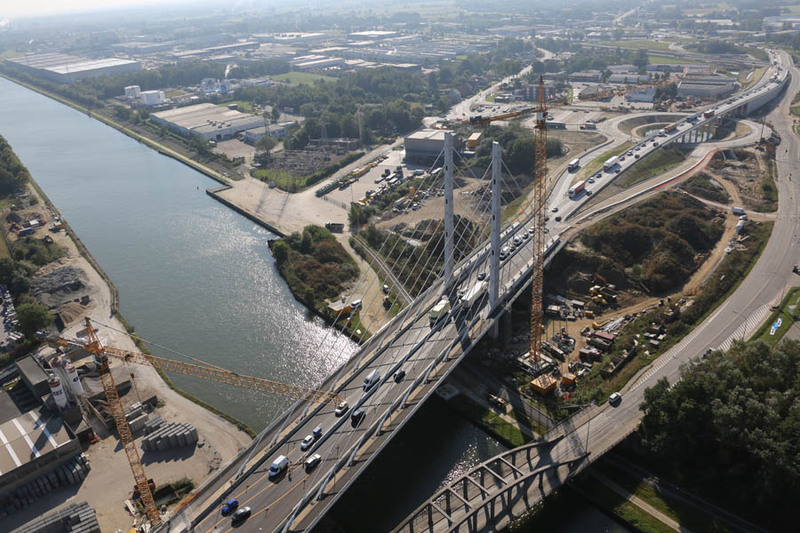 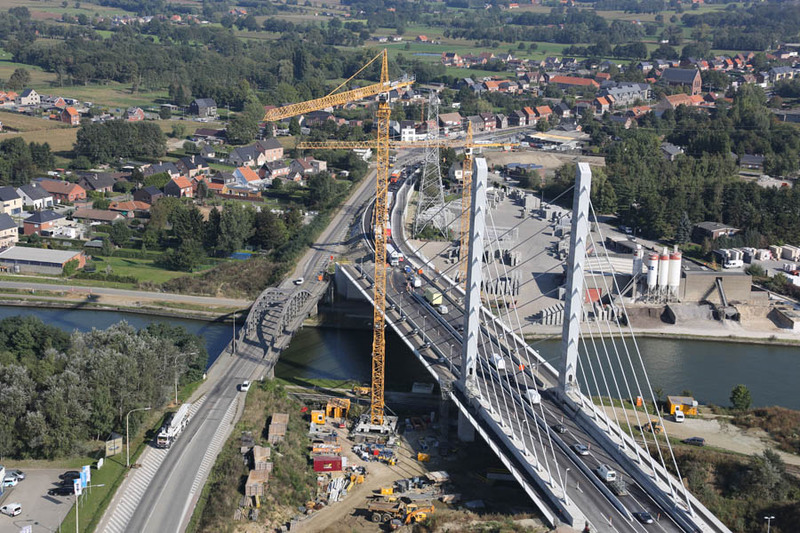 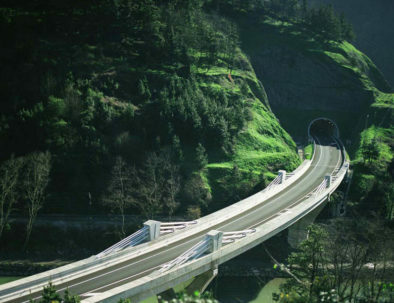 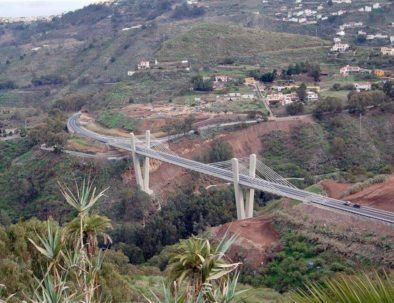 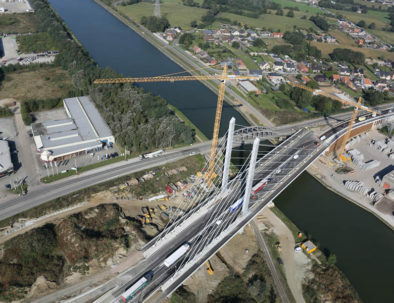 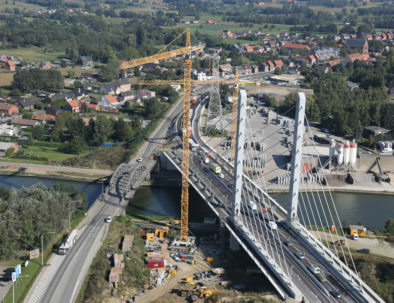 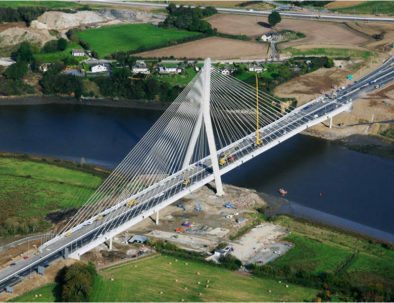 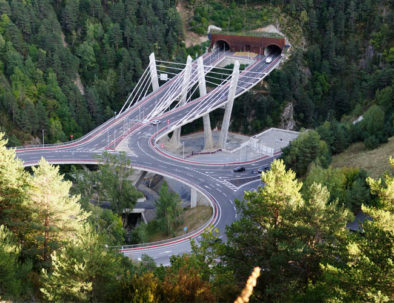 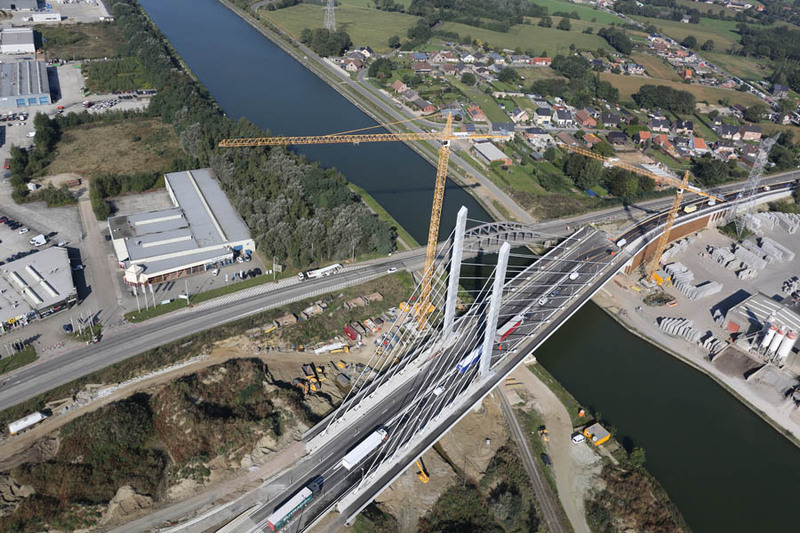 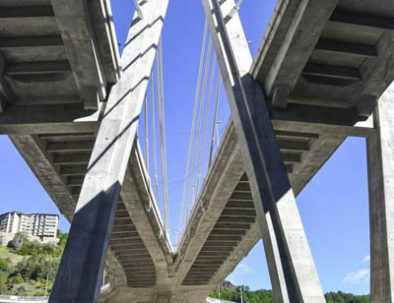 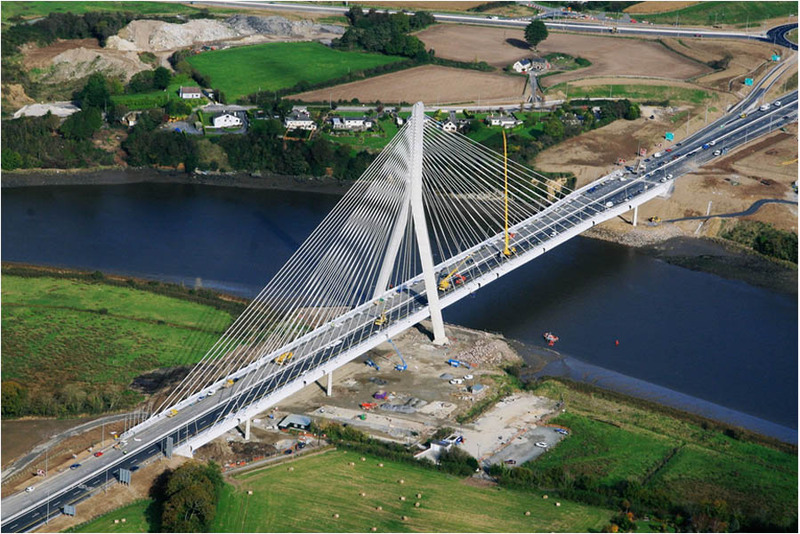 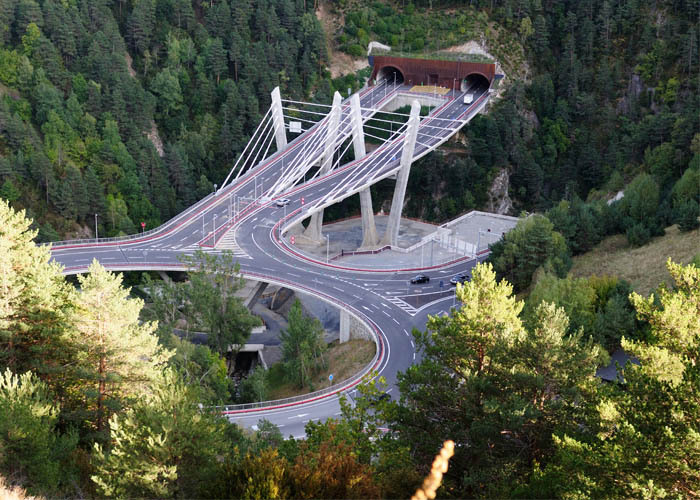 MK4 has been involved since its creation with the design and installation of cable stays for bridges and all kind of diverse stayed structures. 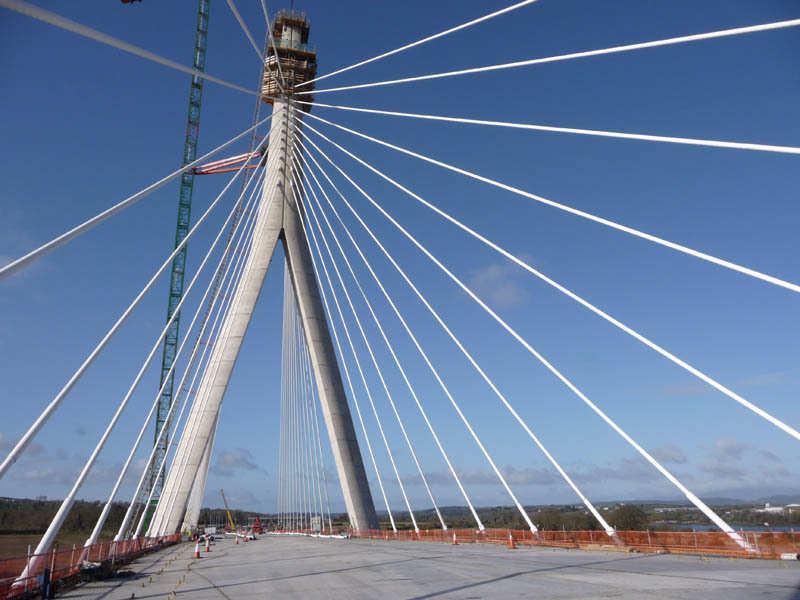 MK4’s staff, with more than 25 years experience in cable stays, together with DMK Stay have developed the DMK parallel strand stay system that fulfils the most demanding project requirements. The DMK Stay belongs to the latest parallel strand cable stay generation. Stay is based on a bundle of self protected prestressing strands that run inside a global polyethylene duct. 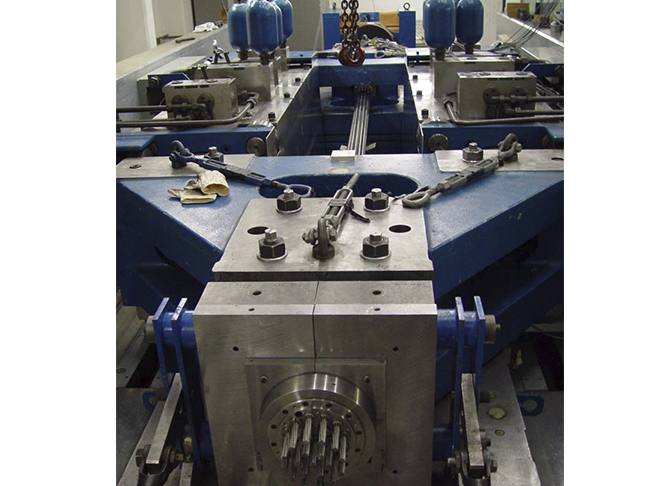 Strands are anchored through the wedge system in the DMK anchor heads. Stay behaviour according to the most relevant international recommendations. Unitary stressing (strand by strand). 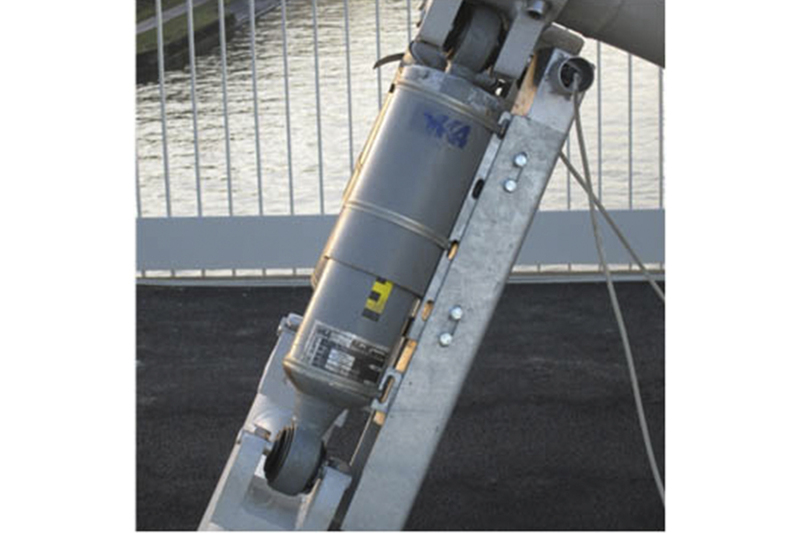 Adjustable anchorages for full stay stressing or distressing. Replacement of the stay, as a whole or each strand individually. 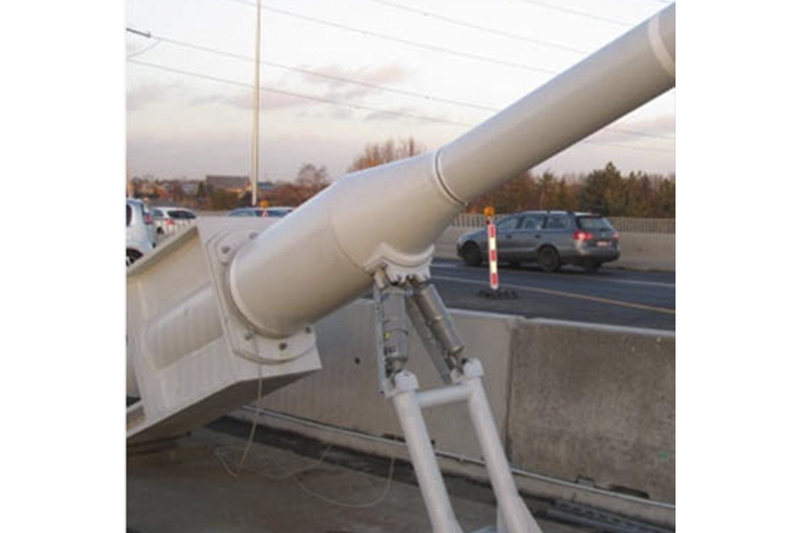 Dynamic behaviour: 2 million cycles, 200 N/mm2, upper load limit 45% GUTS. Static efficiency: 95% of GUTS (Guarantied Ultimate Tensile Strength). DMK Stays are encapsulated forming one sealed unit. 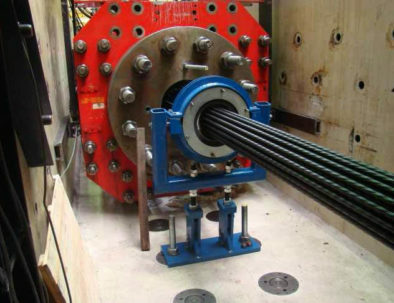 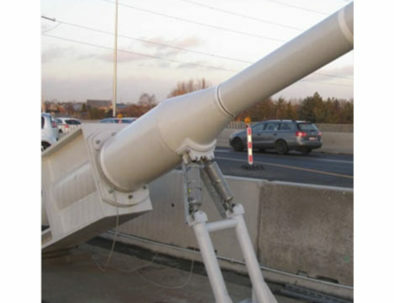 They are linked to the structure only by the bearing of the anchor head nuts to the repartition plates of the structure, the neoprene centralizers at the exit of the guide pipes and at the damper clamp, in case that option is used. 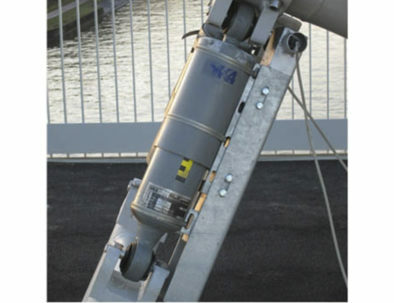 This configuration permits to disassemble all the components of the stay without modifying the existing structure. 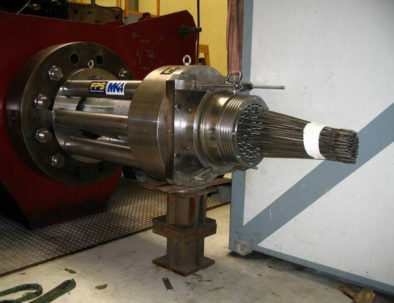 Also, strands can be removed or replaced one by one if required.